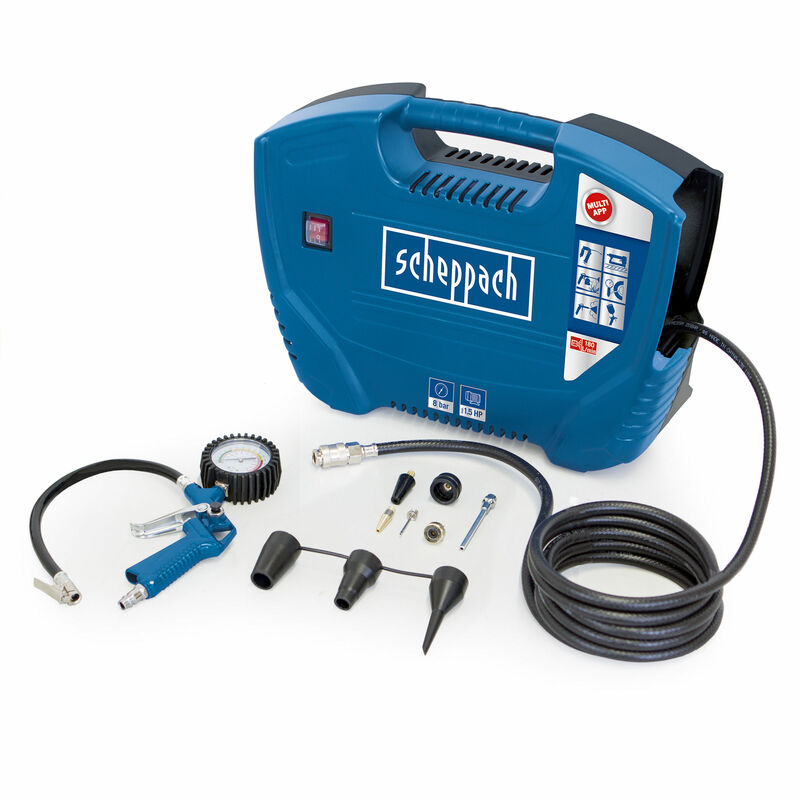 The Scheppach "Air Force" compressor provides incredible versatility for a wide range of inflation applications. 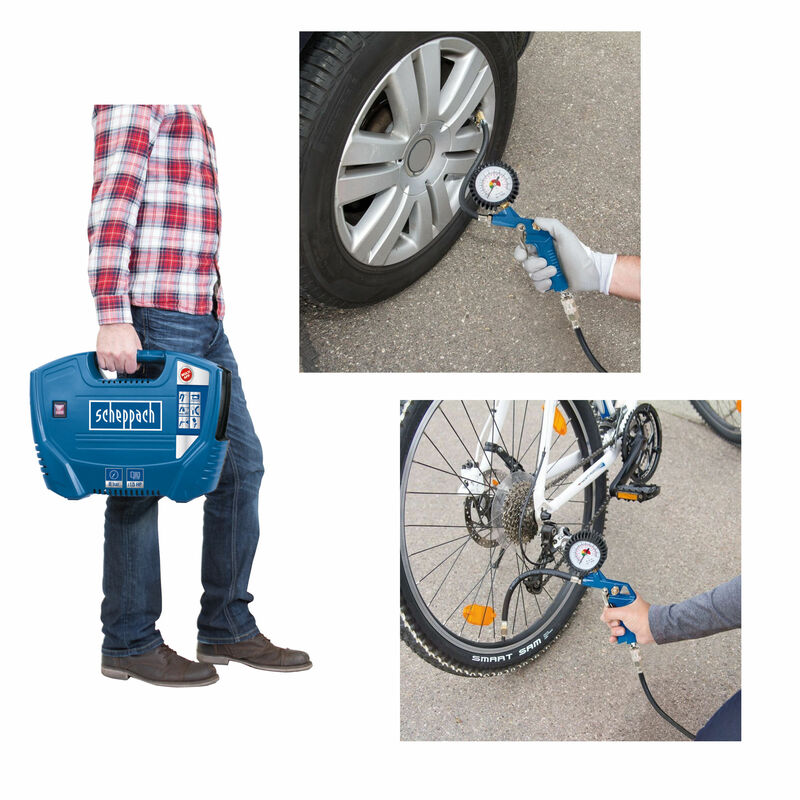 This lightweight compressor is ideal for car tyres, bike tyres, sports balls, rafts, mattresses and more. The air station is perfect for home, car, boat or recreational use. 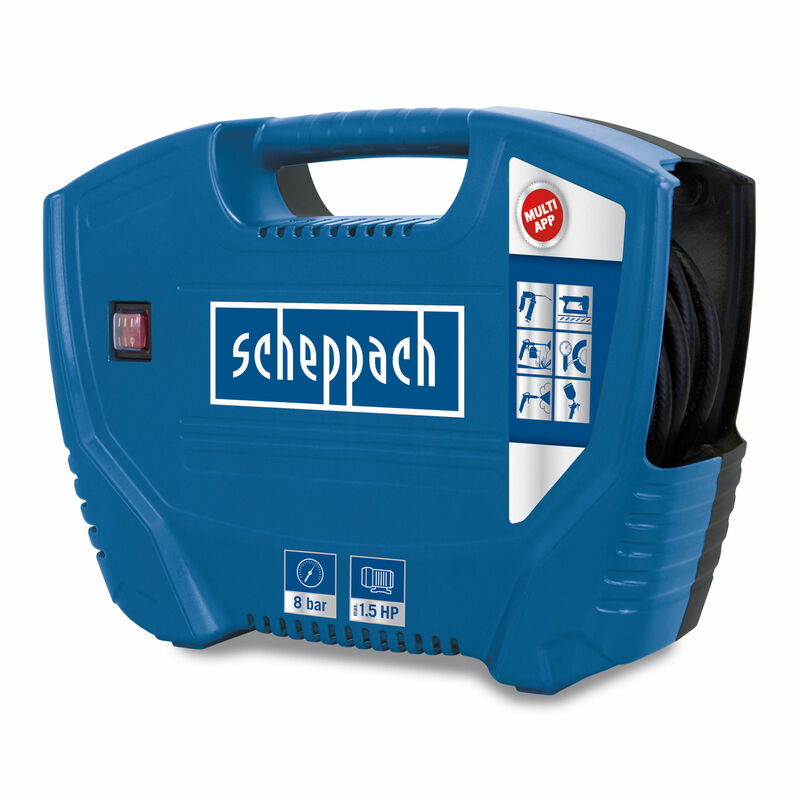 All hoses, leads and accessories are stored internally for safe keeping. 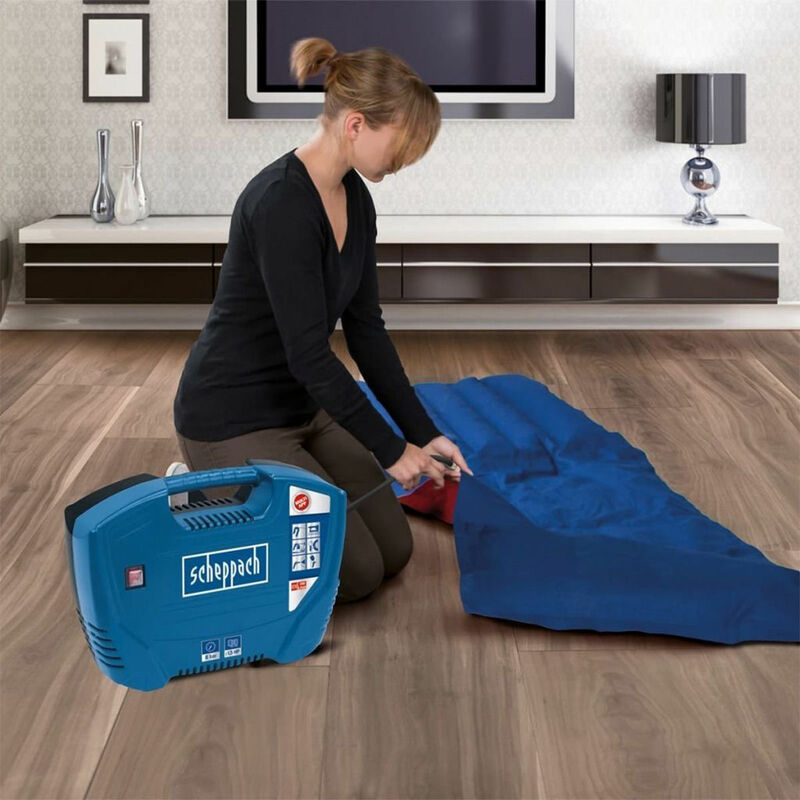 This item will quickly become one of your favourite tools around the house. Fitted with a 2 pin plug with a 3 pin adapter.